Bougainvillea (Bougainvillea spp.) vines, hardy in U.S. Department of Agriculture plant hardiness zones 10 and 11, need regular fertilizing and full sun to remain healthy and produce abundant, cascading flowers. 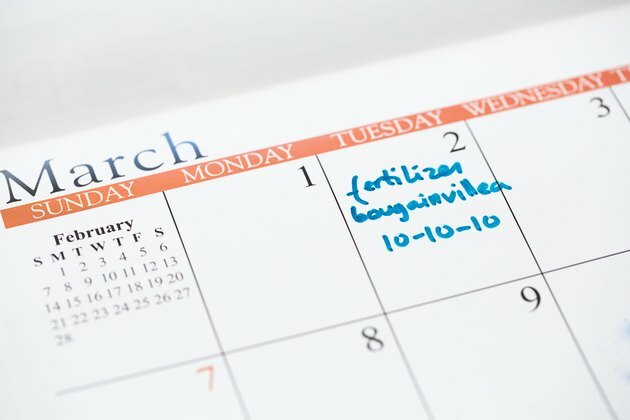 Use complete, balanced fertilizers with a nitrogen, phosphorus and potassium (N-P-K) ratio such as 5-5-5 or 10-10-10 to promote good bougainvillea health and plentiful flowers. Too much nitrogen promotes vegetative growth at the expense of blooms, so slow-release fertilizers that moderate nitrogen release are best. Fertilize bougainvillea vines growing in the ground twice each year: once in early spring and again in midsummer. Top-dress vines with a slow-release, all-purpose fertilizer such as 10-10-10, at a rate of 1/2 cup per 4 feet of plant height. Scratch it lightly into the surface of the soil with a hand cultivator or trowel. Water thoroughly, using a watering can. 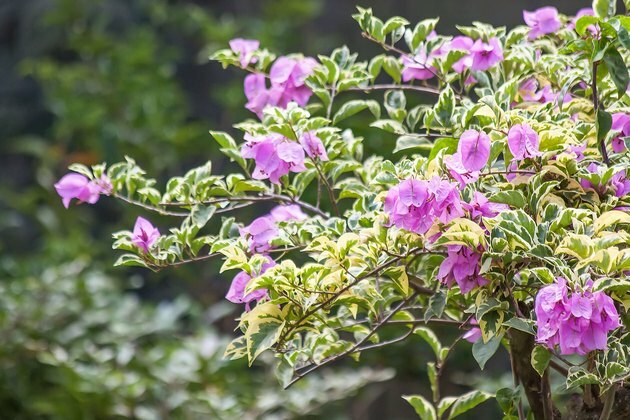 Feed bougainvillea vines that grow in containers once per month with a water-soluble, all-purpose, 5-5-5 fertilizer. 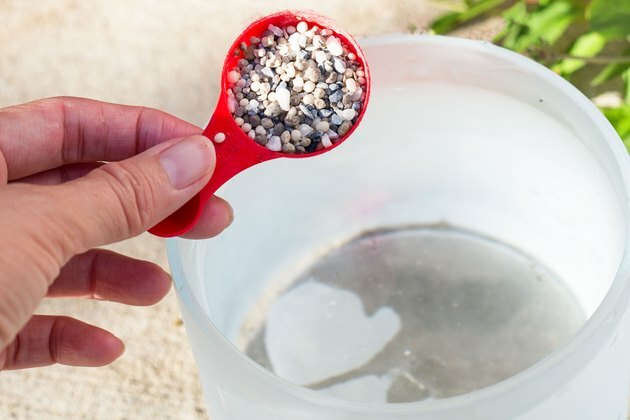 Mix 1 tablespoon fertilizer with 1 gallon of water, and water the plant's soil. Bougainvilleas flower best when kept on the dry side. In areas with steady summer rain, stimulate flowering by allowing container-grown plants to dry out regularly. Cut back longer shoots to augment fertilizers and stimulate strong flowering -- bougainvillea vines flower on new growth. Trim long or crowded branches throughout the growing season. 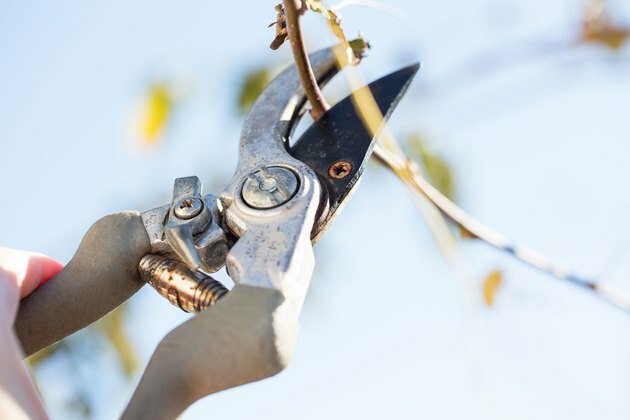 Use sharp, handheld, bypass pruners, and disinfect the blades with household disinfectant before and after pruning to prevent the spread of disease.